Among the companies manufacturing products for Alco Models was Samhongsa of South Korea. Jim Kelly and Model Railroader magazine visit Seoul and Samhongsa's factory in an October 1991 article. 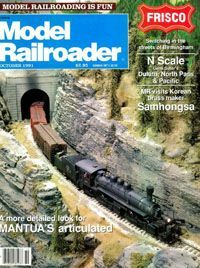 Beyond obtaining a copy of this issue, interested readers should be aware of Kalmbach's release of back issues of Model Railroader on DVD-ROM. The release includes all issues from 1934 to 2009. Glasure, Dan. Brass Model Trains Price & Data Guide Volume 1 Spring 2008. Ocklawaha: Publishing Partners International, 2007. Pinkepank, Jerry. The Second Diesel Spotter's Guide. Milwaukee: Kalmbach Books, 1973.